The Cayman Islands have more registered businesses than inhabitants. The most recent population estimate of the Cayman Islands is about 52,000, with a mix of more than 100 nationalities. Out of that number, about half are of Caymanian descent, 60% of the population is of mixed race; and of the remaining 40% about half are of European descent, and the other half of African descent. Most of the islanders are exclusively Christian, with large number of Presbyterians and Catholics. Caymanians enjoy the highest standard of living in the Caribbean. The vast majority of the population resides on Grand Cayman, followed by Cayman Brac as the second most populated, and by Little Cayman with very few permanent residents. The Cayman Islands are a British overseas territory, situated in the pristine waters of the western Caribbean Sea, 150 miles south of Cuba. The territory comprises three main islands. The largest and most developed is Grand Cayman, with a population of about 35,000, is 22 miles long and 8 miles at its widest point. 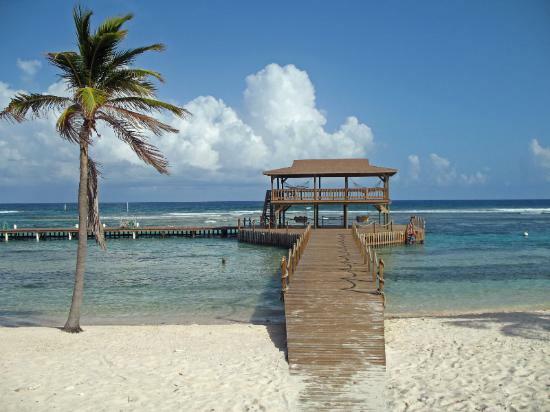 It stands 90 miles from Cayman Brac and Little Cayman, which are separated by only 5 miles. 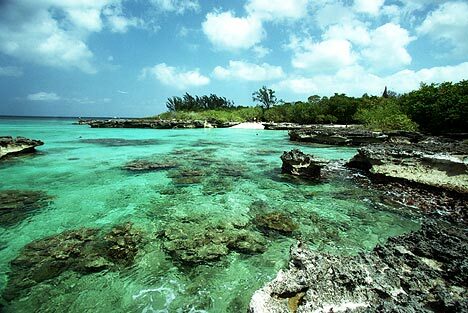 Cayman Brac, the second-largest island, is 12 miles long and 1 mile at its widest spot, with 1,600 inhabitants. It has the highest point in all of the islands with the impressive "Bluff" that rises 140 feet out of the sea. The smallest is suitably named, Little Cayman, with just 10 square miles of land, home to a population of 150. The Cayman Islands are a beautiful and majestic place, endowed with pleasant tropical weather, abundant activities to while away the hours, and countless places to visit. You can spend your time exploring everything that this Caribbean paradise has to offer, or simply lay on the sand soaking up the rays and getting some rest and relaxation under the warm sun. The Cayman Islands are in the western Caribbean Sea, and are actually the peaks of an immense underwater ridge, referred to as the Cayman Trench; it stands 8,000 feet from the sea floor, and barely extends above the surface. The islands stretch out in the northwest of the Caribbean Sea, west of Jamaica, and south of Cuba, with a land area of 259 km., roughly 1.5 times the size of Washington, D.C. 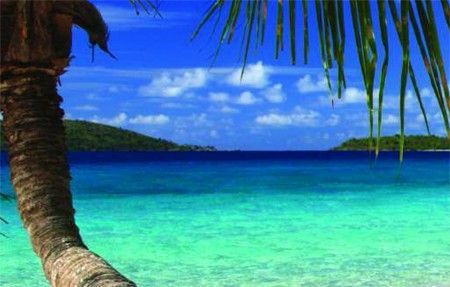 The coastline is 160 km long, making it a magnificent destination to enjoy beaches, snorkeling and scuba diving. 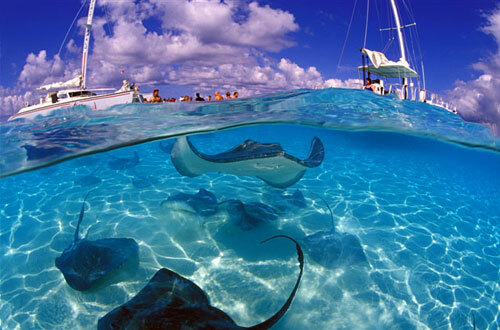 The Cayman Islands claim a 200 nautical mile exclusive fishing zone and a territorial sea of 12 nautical miles. The Cayman Islands were captured from the Spanish, and then ceded to England under the Treaty of Madrid. The island was governed as a single colony along with Jamaica as an independent Commonwealth territory. The Island's operate without political parties, so during election periods, rival political factions are structured into teams with such names as "Unity" and "Progressive with Dignity". An unpretentious constitutional reform was introduced in 1992, requiring the appointment of a Chief Minister. This prompted the creation of what was then the territory's only political organization, the Progressive Democratic Party. Although the United Kingdom is officially accountable for the island's foreign policy, the United States, as in the rest of the Caribbean, exerts a governing influence over its own backyard. Both the United States and British Governments have been concerned about the abuse of the islands for drug trafficking and allied money laundering. Independence for the islands has never been an issue, so the only point of contention is citizenship. Following modification of certain policies, the British Government has declared that it is ready, in principle, to grant full British citizenship to the inhabitants of the Cayman Islands. Officially opened on 27th February1994, this heritage attraction was named in honor of Her Majesty, Queen Elizabeth II. An important milestone was reached in May 1997, when Hon. Thomas Jefferson, Minister for Tourism, Commerce and Transport, formally opened three new attractions there: the Floral Garden; the Heritage Garden, representing the park's $1.75 million presentation of plants that have played a role in Cayman Island history; and the Visitor's Center. This one of a kind farm is the habitat of over 16,000 sea turtles, ranging from six ounces to six-hundred pounds each. The farm is a contemporary reminder of the turtle's role in the history of the Cayman Islands. When Christopher Columbus first discovered the islands in 1503, he named them "Las Tortugas," meaning "The Turtles." Legend has it that the islands looked like they were covered with rocks because of the huge number of turtles. This is Cayman Island's most significant national landmark, presenting a historically precise restoration of the early 19th century Pedro St. James greathouse and grounds, in Savannah, Grand Cayman. The site also features a multimedia theatre and a visitor center, exhibits, and a gift shop. Honored as the "Birthplace of Democracy in the Cayman Islands," the historic landmark structure, formerly known as Pedro Castle, is now one of Cayman's foremost heritage sites. The Cayman Islands offer an enjoyable variety of nightlife and entertainment, where bars, clubs and dance halls abound. Top local bands including Coco Red, Gone Country, Mainstream, and Hi-Tide, play regularly at most nightclubs and major hotels. The Next Level Matrix and Chameleon are just two of the many energetic nightclubs in Grand Cayman. Pre-club dancing can be found at The Bed Lounge or The O Bar. Not into the active club ambiance? Don't worry: there are many other options, including cinema, lounges and pool halls. The Prospect Playhouse in Red Bay offers year-round, regular performances of comedy, drama, and musicals, by the Cayman Drama Society. And the Harquail Theatre on West Bay Road is the place for cultural events, including stage productions sponsored by the Cayman National Cultural Foundation, including plays by Caymanian, and other West Indian playwrights, dramas, and comedies by Caribbean performers. 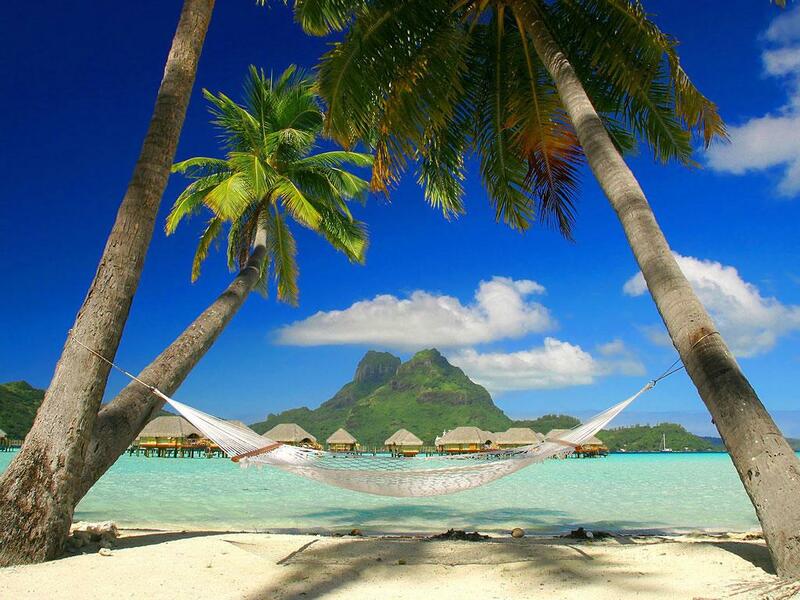 The Cayman Islands are one of the most serene and peaceful vacation spots in the Caribbean. While the primary cultural influences are from the United Kingdom, North America, and Jamaica, 113 nationalities are represented on the three islands. One of the most conspicuous aspects of culture on the Cayman Islands - and a gauge of the predominant British and American influence - is the dominance of Christianity. Denominations represented on the island include Roman Catholic, Baptist, Anglican, Church of God, and Presbyterian, among others. British influence can also be witnessed in the language of the Caymans, which is English with a combination of accents from English, Welsh and Scottish settlers. Jamaican settlers also brought their distinctive patois to the islands, and it is still evident in the accents of certain residents today. Traditional Caymanian cuisine is strongly influenced by Jamaican's curry, jerk and other exciting seasonings. Though the traditional national dish is turtle, conch is also popular, either served raw with lime juice and onions, or cooked as a stew, fritters, or chowder. A lot of recipes show influences from many other Caribbean countries. "Jerking," a slow-smoking process utilizing a mix of spices, and "heavy cake," a dense sweet dessert, are just two examples. Other fares include "Fish rundown," and fish stewed with "breadkind." "Swankie" is lemonade, but local ingredients may include key honey, limes, coconut, and rum. Other than fish, turtle meat, and a few local fruits and vegetables, almost all food is imported. In addition to Caribbean and Central American cuisine, the Cayman Islands also offer a vast range of alternative choices including Italian, Mexican, European, German, Indian, Japanese, Chinese, Thai, and even American Tex-Mex. If you want something on the go, you'll also find plenty of familiar fast-food chains.